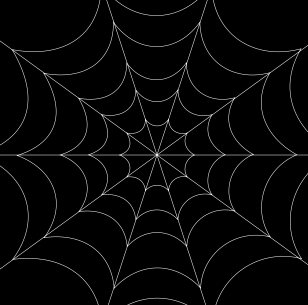 Thanks to Lyle at GIMP Chat, I learned a quicker way to create spider webs. Seeing Halloween is almost upon us, I decided to post the technique. You can follow Lyle's method here. I use a similar method to a point, simplifying a few steps for speed. Open a new drawing with black background. I used 640 x 640 @ 300px. Add a transparent layer. 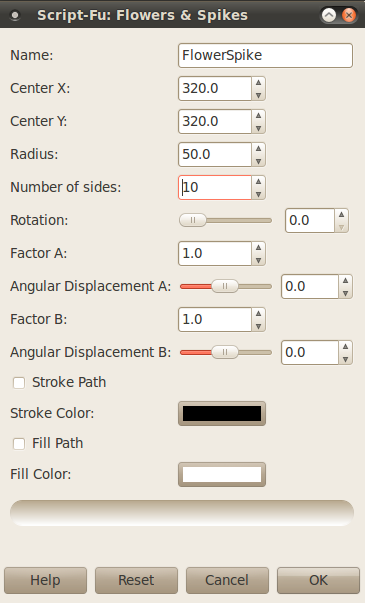 Right click the new path in the path dialog, select Voronoi Path. No need to check the Preserve original path. 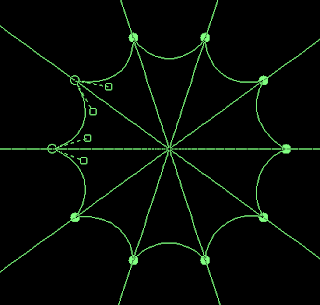 Select OK.
You should now have 10 path lines extruding from the center. Repeat Step 2. Create a 2nd flower spike path. Change only the radius: 75. 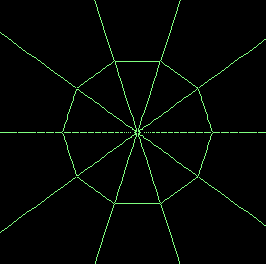 Use the Rotate tool, with transform set to Paths, align the points of the flower/spike path with the line nova extruding from center. Duplicate the path turn off the original path temporarily to work on the duplicate path. TIP: When aligning paths dead center on an image, as we are doing in this case, it's helpful to have centered guidelines active on the image, with Snap activated. It helps tremendously. 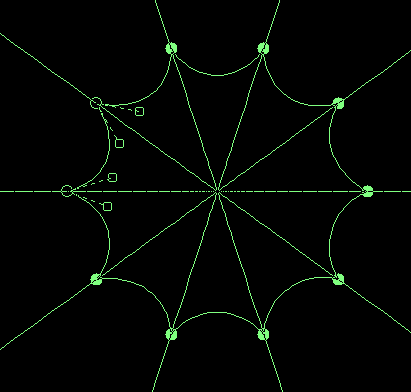 With the Scale tool set with 1:1 aspect ratio (chain linked) drag out the path larger than previous, and center it. Merge all visible paths (right click any path and choose "Merge visible paths"). Set foreground to white, right click the merged web path, and stroke at 1px. 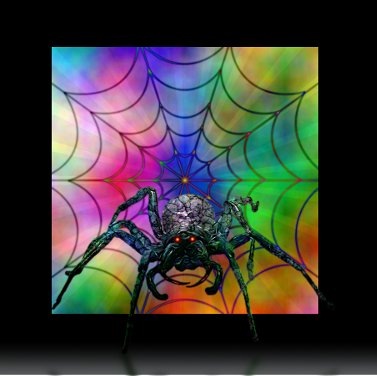 Find some spider clip art or make your own spider, and dress up your new spider web. 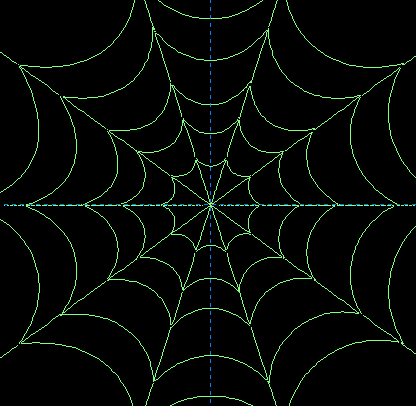 Feel free to add more or fewer web (flower spikes).